Our coaching strengths lie in athletic development (adolescent up to professional athlete), pastoral support (leading transformational small groups and discipleship) and personal performance (personality assessment, dating & marriage coaching, as well as other personal transformation strategies). Welcome to LeadershipDude! 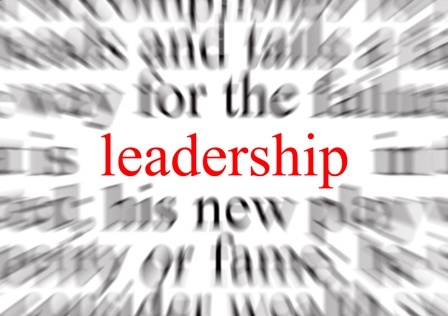 I am dedicated to providing insights into several components of leadership that affect us all. Executive, spiritual minister, spouse, pro athlete, business owner, or curious teenager…I simply strive to help you unleash your strengths in order to improve your personal effectiveness as well as your ability to lead others toward powerful results. Leadership always starts in the mirror! As much as people hope for the motivation to establish NEW BEHAVIOR…it’s probably more important to honestly look into the mirror and see a talented person who has the ability to share your unique gifts and talents with others! If you fully engage this belief, you’ll be surprised how much easier and simpler your efforts toward stronger personal leadership will become. You have what it takes to be a leader! As a professional strength & conditioning coach/personal training mentor/group exercise instructor for just over 25 years, I have worked with thousands of individuals through testing, modifying and perfecting various change and leadership formulas. I was fortunate to have worked with hospitality-focused organizations such as Presbyterian hospital of Dallas (Finley Ewing) and Club Sports International (now Wellbridge) as well as The Ranch Health Club where I focused on athletic training and performance development. Hospitality and customer service are what separated these kinds of athletic clubs from the typical fitness chain that endures constant employee turnover and mediocre member service. Much of what I learned was great but some of my “failures” proved to be just as noteworthy in my leadership development. Although I was dedicated to helping people improve in my early years as a fitness professional/change agent, it was only the last 16+ years that I decided to focus on being an empowering leader rather than just another loud voice with strong opinions. Currently I serve as the fitness director at Modoma Fitness, Massage & Wellness. We are a cutting edge medical fitness facility that does a medical evaluation on our clients before engaging in a fitness plan. We do medical injections such as stem cell injections, prolotherapy and A2M in addition to ROM testing and hormone replacement therapy. We believe the inside is just as important as the outside when it comes to health & fitness. I am also still the director of the National Personal Training Institute in Dallas, Texas. My job consists of training and transforming students of all ages, ethnic backgrounds and fitness experience into sharp, professional fitness leaders over a 500 hour vocational program. Balancing teams of different personalities and maturity levels was and continues to be an exciting challenge. What a privilege to serve the next generation of fitness and nutrition leaders. As a worship leader, small group leader and discipleship mentor I have worked with all kinds of church leaders and church patrons to develop leadership strategies. I have utilized spiritual coaching to encourage people who have gotten burned out with organized religion, or who have experienced spiritual rejection as well as introduce others to the Gospel of Jesus. I love the church. However, any time large groups of different people come together, there’s bound to be friction, disagreement and personal wounding. Leaders often need help dealing with the large privilege/burden of pastoring people. Feel free to read some of the articles here to see if something resonates with your situation. Consultations are always free and if we can point you forward in some way, don’t hesitate to ask. Have an outstanding adventure today! the position or function of a leader, a person who guides ordirects a group: He managed to maintain his leadership of the party despite heavy opposition. Synonyms: administration, management, directorship, control, governorship, stewardship, hegemony. ability to lead: As early as sixth grade she displayed remarkable leadership potential. Synonyms: authoritativeness, influence, command, effectiveness; sway, clout.